I hope you will forgive me for jumping around a bit on the blog. I thought I’d interrupt my adventures abroad to talk a little about adventures at home. And hey, that keeps things interesting, no? After 3 months spent in the beginnings of a chilly South American winter, I was ready for some of our famous Southern California sun. I was also ready to catch up with one of my best girlfriends. Our requirement was someplace relaxing and pampering (as she’s been working hard lately and traveling a lot herself), while allowing us to have all the time we need to gossip about what’s happened while I’ve been gone. 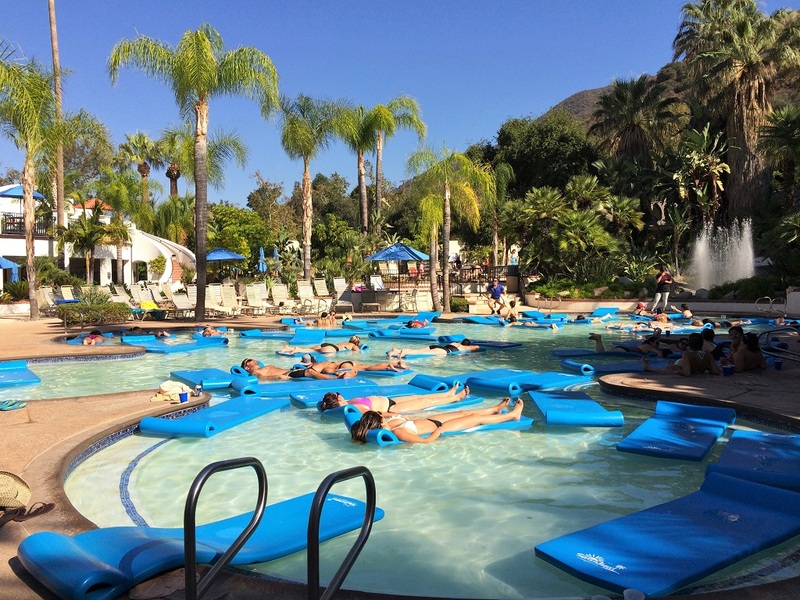 Put all of this together, and you get a visit to the Glen Ivy Hot Springs, the ultimate girls’ local daycation! 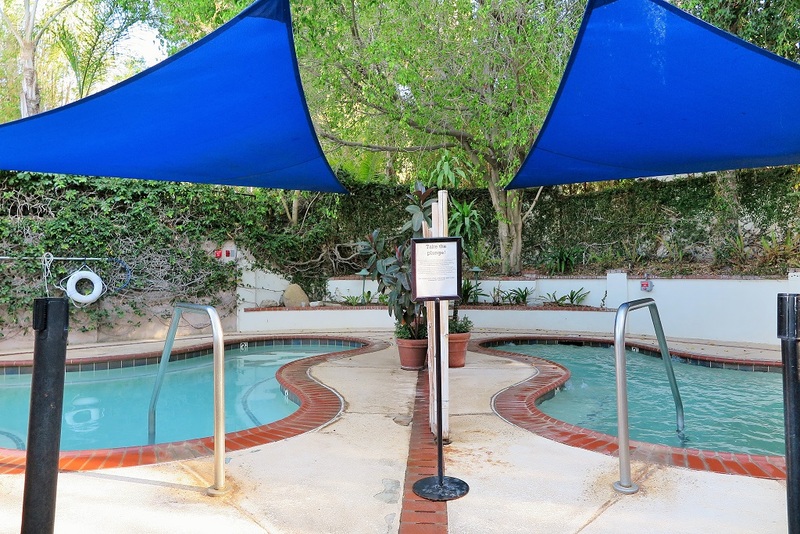 The Glen Ivy Hot Spring is located in the midst of the dry Corona hills, in the Temescal Valley. Driving up to it, the desert landscape is suddenly interrupted by rolling green hills and towering palm trees – the picture of a a rich oasis in barren lands. History goes that hot mineral water has bubbled out of the earth here for thousands of years and was a place of worship for native American tribes. In the late 1800’s, the site was commercialized with a spa and resort, and for decades, enjoyed a renowned reputation as a destination resort for celebrities. 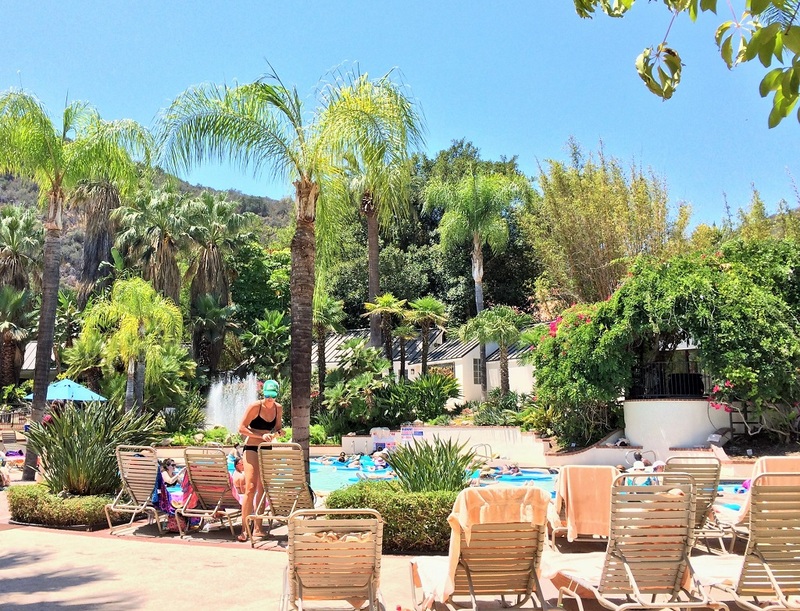 Luckily today, you don’t have to be a celebrity or spend too much to enjoy Glen Ivy. 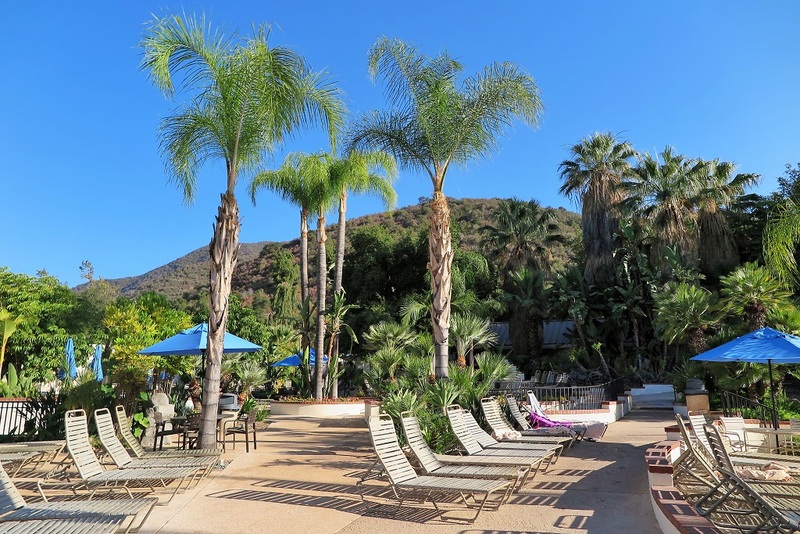 A regular day pass will get you in to all of the spa’s 11 outdoor pools (each one with a different healing property), the bathhouse, and access to fitness classes throughout the day. For some extra pampering, spa treatments and massages can be booked at additional cost, but since this was already a splurge activity, we chose to not spend more. The first stop is the Bathhouse (ladies and men separated), containing an impressive amount of locker space and showers (with rain shower heads, I later found! ), as well as a dry sauna and indoor Roman bath. I was also impressed with the amount of products provided… everything to primp a girl, from shampoo/conditioners to hairdryers. And towels and water are free to use throughout the entire resort! After a healthy lunch at Cafe Solis (though ironically, the portion sizes seem to be the famous over-sized American portions), we hit the spas. One afternoon was enough time to sample just about all of them, but I will only highlight a few of the more interesting ones. First up was a soak in the geothermal mineral baths. If you’re like us and failed to study the map, don’t worry. You’ll find it by its smell, the stench of rotten eggs rising with the steam off the water’s hot, bubbling surface. Supposedly, the water is straight from the earth and is rich in Sodium Sulfate (but I also detect plenty of chlorine). It’s recommended to dip for 20 minutes to reap the benefits of soothing achey joints and muscles, but we had enough after maybe only 10 minutes. On to something less stinky! The hot and cold plunge pools (for the benefits of improving circulation) elicited a lot of loud squeals from us as we struggled to stay in the freezing cold pool for the recommended 30 seconds, before making the frantic dash into the hot pool. Once in the hot pool, immediate relief comes as you literally feel the cold melting off your body in waves, starting with the odd icy-hot tingle at the toes. After a few minutes of restoring the body back to a functional temperature, it’s off to brave the cold pool again. Rinse and repeat, at least 5 times. It soon became a game to test our will to stay submerged in the cold pool. Finally on our last plunge, we survived the entire 30 seconds (sounds short, but an eternity when your blood is freezing over!). It was definitely an invigorating form of hydrotherapy! The highlight of the day was undoubtedly Club Mud, where any adult deprived of playing in the mud as a child can finally, unabashedly, carry out this fantasy without judgment. There in the red clay pool, matching a red desert sun, I eagerly covered myself in the thick red mud. The red clay is locally sourced from the Temescal Valley, and is said to draw impurities and toxins from the pores. Does it work? After a few minutes baking under the sun, the mud dried to a smooth powdery finish. I dared to take a peek in the mirror and recoiled in fear at the sight of my face. Hundreds of dark brown spots, in contrast to the light grey-brown dried mud, splattered across my face, where the mud had drawn out the oils from my pores. Gross! But after I washed away all the mud (showers provided on site), my skin has never felt softer or smoother. Where do I get an at-home treatment of this miracle stuff?? After checking out a few more pools, including the saline bath (meh) and the infinity jacuzzi (which unfortunately looks out into the parking lot… not really an inspiring sight), we ended the day peacefully floating in the lounge pool. 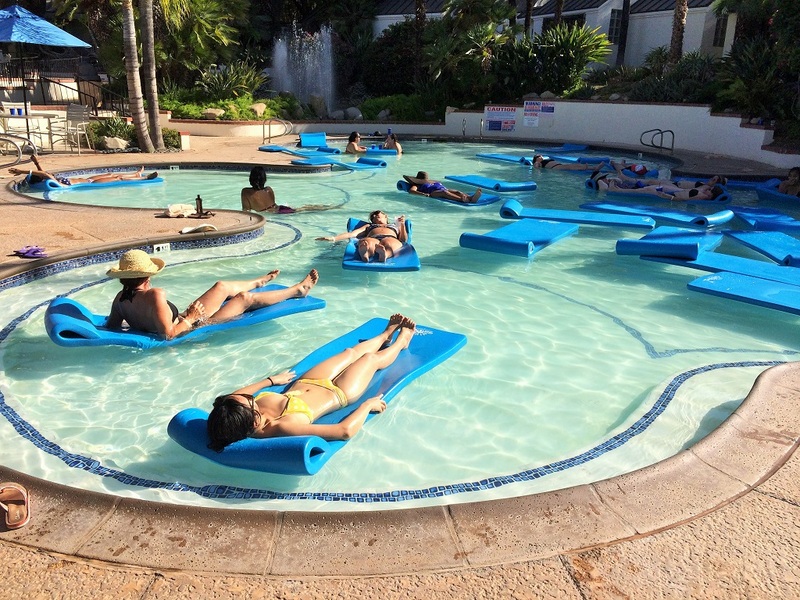 At first glance, the pool is a sea of blue foam beds and we eagerly jumped in to join this sleepy pool party. As we chatted and floated along, with the warm sun beaming down upon my back, I was suddenly reminded of that scene in Wall-E where the people of the future have become fat, lazy asses, capable of doing little more than just floating along in their chairs. I lifted up my head lazily and remarked this to Claire, and then shut my eyes again. But that’s not too bad, I thought. And maybe sometimes, that’s exactly what we need. Pros: Top-notch amenities, and many pools to choose from, including the unique Club Mud! Verdict: I feel like the price of the general ticket was worth everything that the resort had to offer (and I especially enjoyed the mud! ), but I’d recommend going on a weekday for the cheaper price and less crowds. Have you ever bathed in mud or been to any bathhouses? What are your favorite daycation activities? Thanks for the complete overview. It looks awesome. I love the mud bath! 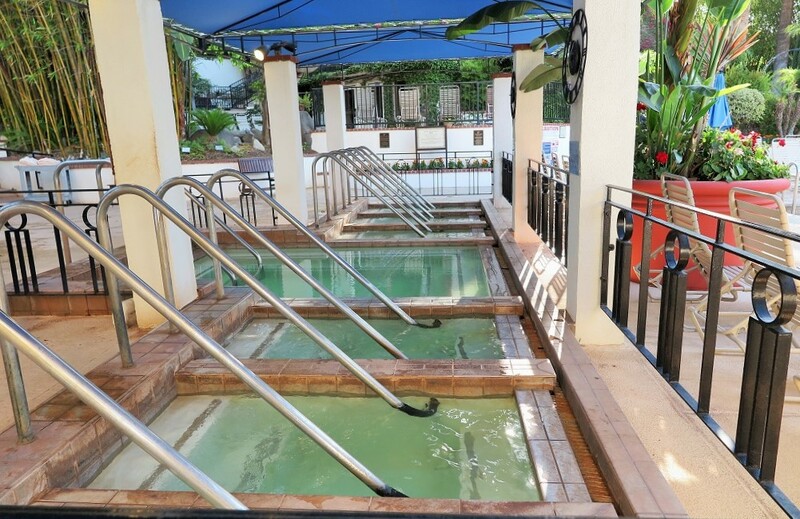 I’ve done the mineral bath in St. Lucia and Peru…so stinky! What a relaxing day you two had! I wish I could join you. Believe me or not, but I’ve never had a mud bath! That’s definitely something I want to try in the future :). 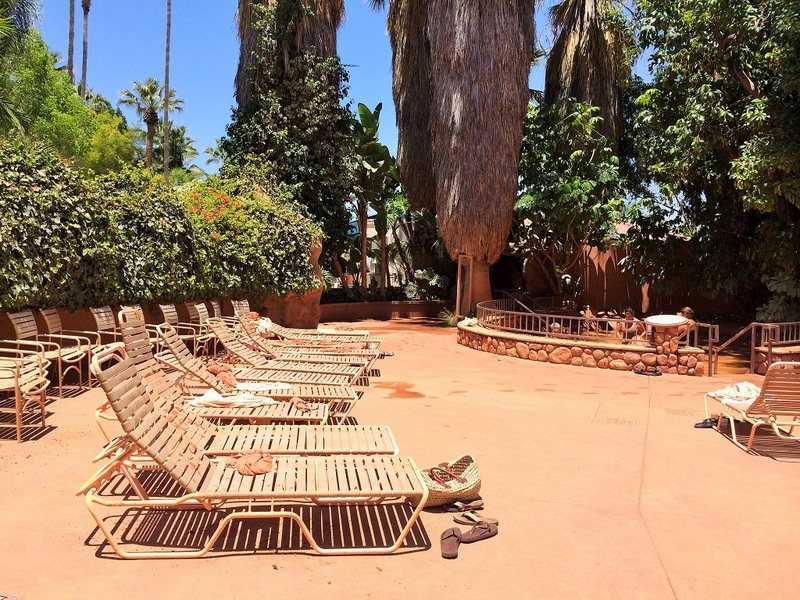 The Glen Ivy Hot Spring looks like a great place to spend a day. Kudos for jumping into that cold pool. It takes me 15 min to get into a 27 degrees C sea, so cold pool sounds like something I’d never be able to do :). But the Club Mud looks like lots of fun. Thanks for sharing! Anna, It looks like a wonderful day. I would love the mud and lounging…where can I sign up? And yes, why do we always feel a little guilty when we pamper ourselves…we’re definitely worth it! It’s true, I do feel guilty to pamper myself, but it’s SO needed sometimes! I think it’s good it was chlorinated… there’s too many diseases out there one could catch if it wasn’t! I hope you’ll return to the States to some sunny weather!! Iceland sounds so amazing though, I’m sure the cold was well worth it! What a day, I should do the same and relax too. I can’t believe I’ve never had a mud bath, I should definitely try. The mud was so much fun! And I think it’s important to give ourselves a break and relax once in a while! I hope to do the same again in the Hungarian baths :D.
We all need a day to be pampered once in a while! I’m so glad to hear that you survived your weeks of camping though! I don’t think I could have. This looks so relaxing, although I don’t think I would have jumped back into that cold pool after the first time. I’ve never tried a mud bath before and would definitely head for that if I was there. Definitely! It was the most fun thing there and made the price of admission so worthwhile! I’ve never really considered a mud bath before but it sounds amazing. I love how you thought about wall-e. I think about that part of the movie too whenever I’m feeling lazy. Haha yeah! That Wall-E image really came to me because it was just a pool of people floating around (and some with drinks in hand), haha. If you ever have the chance to do a mud bath, do it! It’s soooo fun! I’ve never really done anything like this before or pampered myself this way! But now you’ve inspired me to look up and see if there are any in my neck of the woods! The mud bath looks like so much fun! I’d love to have a girls day at this place! You should! It’s always nice to feel pampered once in a while and it’s such a fun girls’ day. I hope you find one near you!